A little piece of Italy in your home! 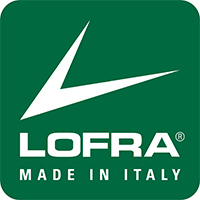 Lofra’s top-selling Dolce Vita from their Premium Collection now in a unique size of 70 cm! With 4 induction zones, 2 spacious ovens and beautiful details, you get a stylish cooker that enhances your entire kitchen! Dolce Vita is a tribute to 50 years of manufacturing cookers. A masterpiece from northern Italy! 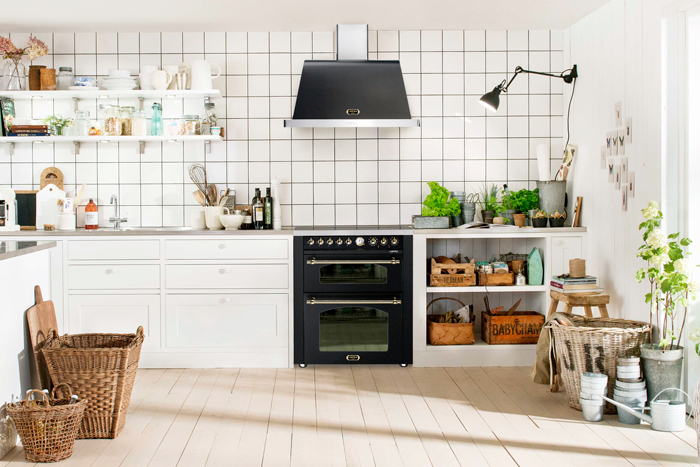 Tradition, combined with the best technology to bring you a world-class cooker. To facilitate cooking, the appliance is controlled not by touch but with knobs. The Italian design is combined with German quality from the leading E.G.O. Also available with matching ventilator, fridge/freezer and dishwasher. Colour: Stainless steel with brass fittings. • The inductionhob has a Power Boost function to bring water to a boil quickly, as well as a child safe lock function for when the stovetop is not in use. • Voltage: Recommended 20 Ampere, 3-phase. Private homes usually don’t have more than 16 Amp. 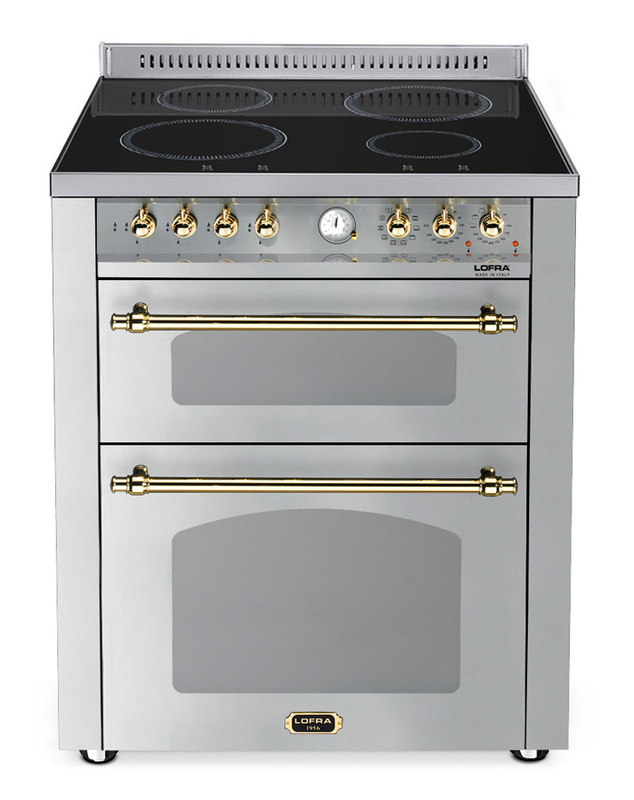 Not all hobs and ovens can be connected at same time, which is common with this type of cooker with induction hob. • Voltage: Can be connected to both standard 220-240 V volt outlet, as well as 3-phase. However, we recommend 3-phase.